NORTH BAY — Declared missing last Thursday, a labourer engaged in the construction of the Pinewood Park Casino has been eaten by Blanding’s turtles. The worker, named Davey Skilpadde, left for the site Thursday morning but did not report back in. The North Bay Police began an official search Thursday evening, but Skilpadde was not found until Monday. Blanding’s turtles are a medium sized turtle, usually no bigger than a shoebox. Lagarto says that he’s personally witnessed “up to 60” Blanding’s turtles jump onto, and take down, a 900 pound bull moose. Davey Skilpadde’s co-workers are shocked. Skilpadde’s manager Dale Kobe has also been doing some research on the reptiles. Turtle expert Phil Lagarto says the Blanding’s turtles don’t have anything to fear from people like Kobe. This is one of the most ridiculous “news” stories I’ve ever had the misfortune to read. 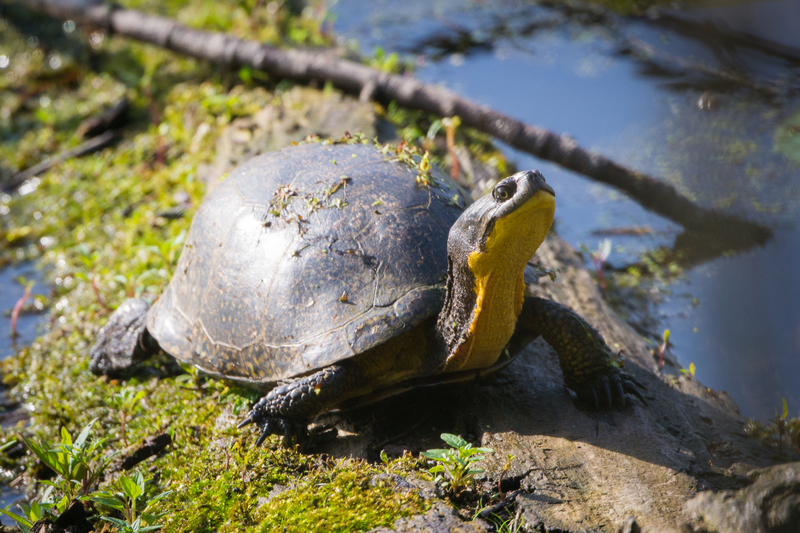 Blanding’s turtles are a threatened or endangered species in many areas and your report does them a grave disservice. The author should look for a job with The Onion — a satire magazine. This is an insane presentation of facts. It’s not real news don’t get “offended” by the disservice done to blandings turtles. People are so annoying. ….hey guys. It’s a satire site. Like the Onion. Yeesh. C’mon peeps, this is beautiful because it gets people to read about Blanding’s turtles. Jennifer, you’re a genius. Sorry to hear about the young man eaten by the Blanding turtles. I too was çonfronted by a rogue pack of them while returning from my cabbage patch in Laurier Woods. They were sneaky,a couple of them came from the trees. Very lucky for me I was taking home the fruits of my vegetable patch. I was able to calm the situation down by offering them all of my stock.